Reference: Hale SS, Hughes MM & Buffum HW (2018) Historical trends of benthic invertebrate biodiversity spanning 182 years in a southern New England estuary. Estuaries & Coasts. 41: 1525-1538. Link. What does a functioning ecosystem look like? How can we know if an ecosystem is healthy, or if its condition is changing for better or worse? The short answer is that we can’t really know for certain. However, well-documented observations can help, especially if they span a relatively extensive time frame. Soft bottom marine habitats cover more of Earth’s surface than all other ecosystems combined. While the majority of people wouldn’t have the benthos marked as their next vacation destination, soft-bottom ecosystems play a pivotal biological role on global scales. The macrofauna found in these habitats are often small in stature, around 0.5 mm, but they regulate many important ecosystem services and conditions, such as seafood production, water quality, shoreline protection, and habitat creation for other organisms. Because invertebrates are small and low on the food chain, they are often impacted by the slightest changes in their environment. By aggregating nearly two centuries of research on these highly sensitive organisms, Hale and colleagues hope to provide useful information regarding research priorities, habitat management, and future conservation planning for Narragansett Bay, the largest estuary in New England. Narragansett Bay is located in Rhode Island and Massachusetts. The area was settled as early as the 1600s by Europeans, and since then, the watershed has experienced centuries of alterations. In the 1600s, approximately 90-95% of both Rhode Island and Massachusetts were forested. By 1850, 80% of Rhode Island had been cleared for agriculture. Land uses within the watershed changed again as the country entered the Industrial Revolution, all of which impacted the estuary. With over 100 studies spanning over 180 years at their disposal, Hale and colleagues paint a picture of the dynamic benthic community in Narragansett Bay over time. The studies varied considerably in terms of technique. In order to normalize the diversity of sampling techniques and reporting styles of the studies, the authors solely focused on whether taxa were present or absent as well as aggregated the studies across several time scales such as century, quarter-century and decade. During the 182 years of observations, over 1,200 unique taxa were identified and represented a highly diverse community. For example, on average, every 2-3 species observed were from a different family. A large portion of the observed species were considered rare. The authors noted that rare species can be critical for ecosystem function and productivity. If a rare species was removed, the loss may impact organisms higher in the food chain that depended on that lost species. Several common benthic invertebrates. Source: Wikimedia Commons. Hale and fellow researchers observed several shifts and surges in community composition over time. A total of 279 taxa have not been observed since 1950. Since 1950, 450 taxa have been observed that weren’t seen previously. The authors provide some suggestions as to what may be causing these changes in community composition. The total number of species within Narragansett Bay is a balance between species arriving and disappearing. 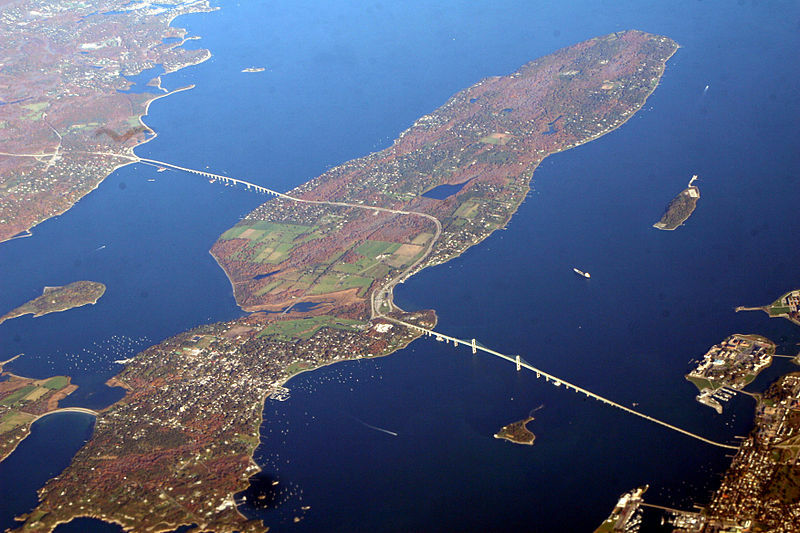 Since the 1800’s Narragansett Bay has become more polluted and its waters have warmed. Together with the introduction of invasive species and habitat alteration, changing chemistry and temperatures may explain why 279 species haven’t been observed since 1950. The increase in species since 1950 may be because of more effective sampling techniques whereas human influences such as the introduction of invasive species and pollution may have been the cause for the loss of species since 1950. The composition of the invertebrate community is always in flux. Anthropogenic events, such as runoff and overfishing, have left a sour taste for the species in Narragansett Bay, but there are positive steps being taken to improve the quality of the estuary. Environmental laws of the 1970s, including the Clean Water Act, and reductions in the amount of metals and oils seeping into Narragansett Bay have reduced pollution and improved water quality. The impact of such legislation can be seen in the greater diversity of species observed since the 1980s. However, the authors note that sampling should continue to further verify this pattern. In 2013 with the help of the USEPA, 11 wastewater treatment facilities were improved to reduce the load of nitrogen flowing into the estuary by 50% with hopes to limit eutrophication and hypoxia events. Actions like those mentioned above can also lead to direct human benefits. One project by the Narragansett Bay Commission improved conditions so much that over 1500 hectares of shellfishing beds were reopened in 2017 after being closed for 70 years. Long-term knowledge of communities such as the soft-bottom invertebrates will better inform future decision-making. Such decisions could not only improve the quality of habitat in the benthos but impact everything that is affected by these small creatures. A happy benthos can improve local fisheries, water quality, and beyond. Featured Image: Narragansett Bay, Rhode Island. October 2006. Source: Wikimedia Commons. ← Endangered Species Act: Headed for Extinction?